Dubbed “the Oscars of the e-gaming sector”, the EGR Operator Awards invite operators to compete in close to 30 different categories, among which rising star, operator of the year and game of the year. As defined by EGR Global, the latter “recognizes the game studio or operator that has produced the stand-alone game that has made the biggest impact during 2018”. This year’s event, which took place on 25 October in London, was attended by more than 800 professionals from the online gaming industry. Though it was Evolution Gaming that finally scooped the Game of the Year award for their amazing Live Lightning Roulette, several unique slot games claimed a spot on the shortlist created by a panel of independent judges. If in doubt where to go to give them a try, let us remind you that you can find the best slots at realmoneyslots.info. Along with the winning Lightning Roulette, the list of 2018 nominees included Sweet Alchemy (Play’n GO), Laser Fruit (Red Tiger Gaming), Jumanji (NetEnt), Wild Seas (Elk Studios), Slingo Rainbow Riches (Gaming Realms), Black Ice (Realistic Games), Wolf Gold (Pragmatic Play), Vikings Go To Hell (Yggdrasil), Eastern Emeralds (Quickspin) and Rainbow Riches Drops of Gold (SG Digital). While using different themes and demonstrating various quality of execution, all of these have one thing in common – multiple unique features with a high win potential. Play’n GO uses colorful candies to make magic happen in their cluster-pays video slot Sweet Alchemy playing on a 5×5 grid. 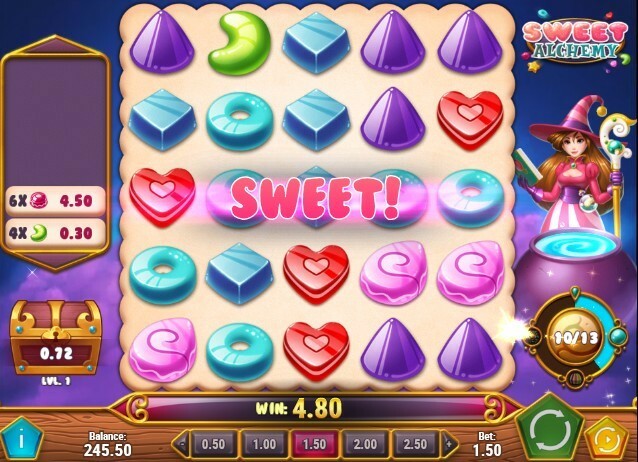 The Sugar Rush meter charges up with each win and, once filled, triggers the Mix the Elixir Free Round played on a 9×9 grid. Filling the meter also adds 3 different Wilds with unique special effects. Completing the Free Round collection with the help of Candy Spells conjured by the alchemist activates the Elixir of Power bonus, a pick & click affair awarding win multipliers. Each completed Elixir of Power bonus round allows the player to progress along a map and open treasure chests filled with cash. 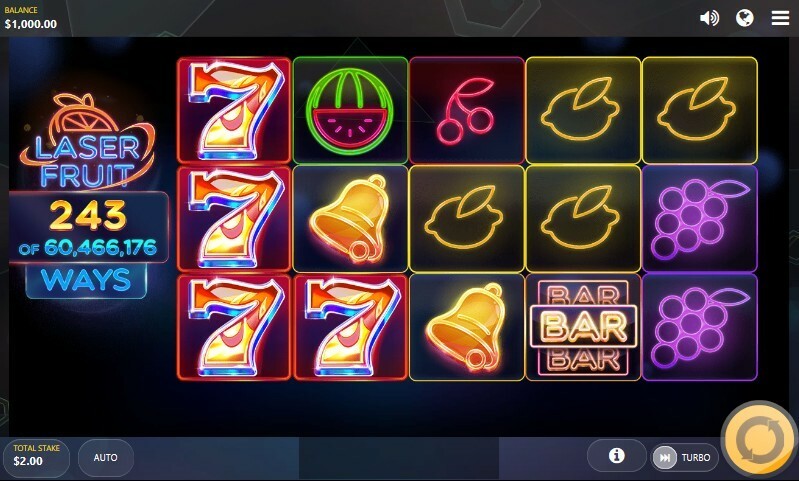 We’ve seen slots using neon symbols many times before, but we’ve never been offered to win over 60,466,176 ways. This unique proposition is now available thanks to Red Tiger’s Laser Fruit slot which starts off playing on a 5×3 grid with 243 ways to win. Neon blue lasers expand the reels in the direction they point to and thus unleash additional ways. Expanded reels will remain locked during free spins and potentially secure millions of ways to win. Jumanji is NetEnt’s 5-reeler inspired by a popular fantasy adventure film. Combination of an appealing theme, superb execution and multiple random and symbol-activated features is what got it nominated for the game of the year. 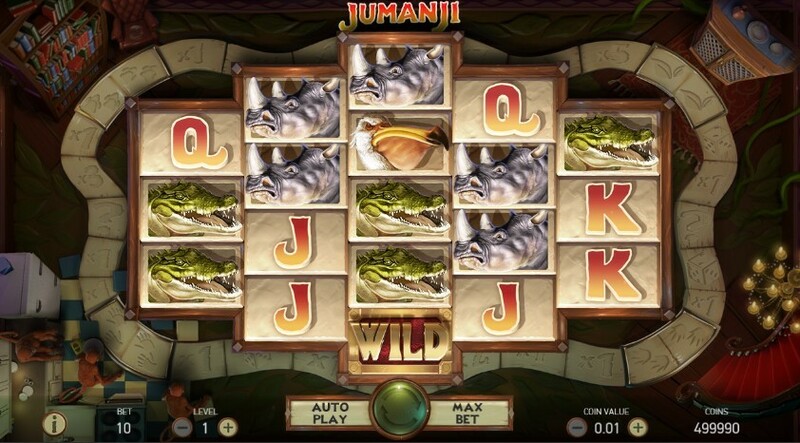 It incorporates 4 randomly-triggered features – Sticky Vines awarding re-spins while making winning symbols sticky, Monsoon Wild turning reels fully Wild, Monkey Mayhem shuffling symbols to create paying combinations, and Wild Stampede adding up to 9 substitute icons. Scatter-activated board game plays with tokens moved by rolling two dice. Depending on where the token lands, players can activate Vines, Monsoon, Monkey or Stampede free spins with their respective extras, or claim the Mystery feature which uses a carousel to award free spins, coin wins or extra dice rolls. ELK Studios have clearly found the winning formula as they once again hit the shortlist after having celebrated their first EGR nomination in 2015 for Poltava slot and winning the same title in 2017 with Wild Toro. Wild Seas was another successful attempt thanks to an interesting mechanism and a top prize of 178,000 coins. Two Wilds will launch Break the Convoy bonus game, prompting the player to select one of the captains as their opponent. Sailing Wild ships move one position to the left on every free spin while pirate ship fires at targets on the same row. Damaged ships remain sticky for one spin and sink after 3 hits to be replaced by Wild chests. At least one ship needs to be sunk to advance to the second bonus game level called Loot the Treasures, during which pirate ship shoots at chests to turn them into sticky Wilds. 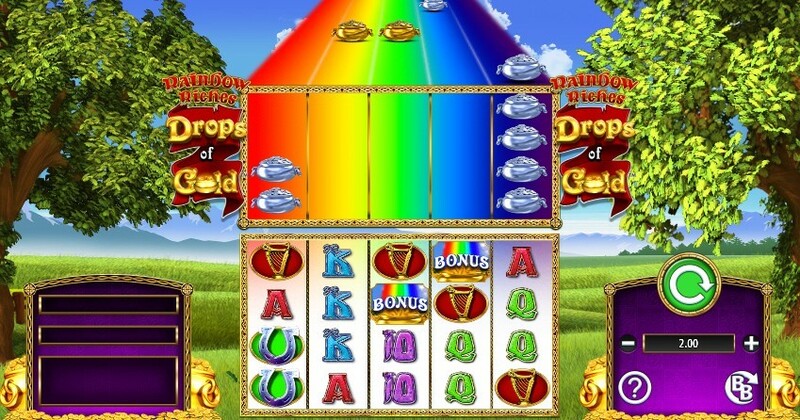 Drops of Gold is the latest instalment in Rainbow Riches series featuring an endless stream of Wild pot symbols cascading onto the reels and Big Bet game allowing players to benefit from additional enhancements. Slingo Rainbow Riches is a Slingo/slot hybrid offering players a new and unique way to play a popular slot. They’ll be given 10 spins to match numbers on the reels with those on the grid and complete win lines to trigger one of multiple bonus rounds. Jokers allow them to mark a number in the row above, Super Jokers offer the same for any number on the grid, devils are blocking symbols and Free Spin icons award extra spins. Having played 10 rounds, one can either collect or continue the game by purchasing additional spins. 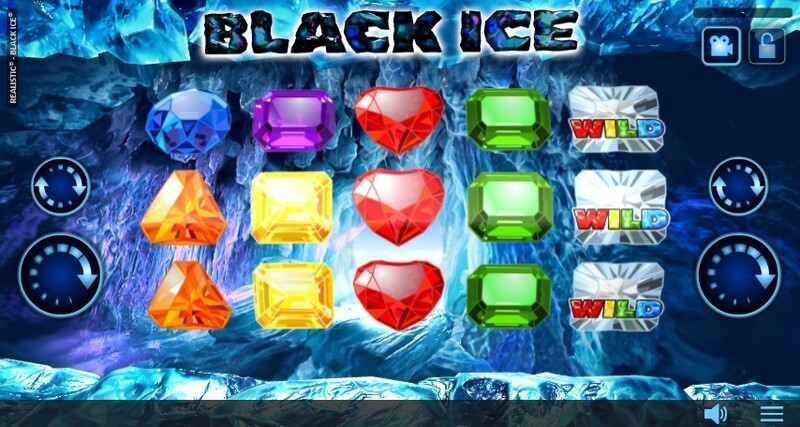 Black Ice by Realistic Games features simple yet impressive animation and an unusual Wild performance. After each win, all non-Wild winning symbols transform into substitute icons and a re-spin is awarded, the same action continuing until there are no additional wins or jackpot is won. Wolf Gold may not be as exciting visually but it does come with a couple of interesting features. Money symbol takes either a random value or Mini or Major jackpot value on each spin, and 6+ trigger the Money Respin feature with all regular icons removed. 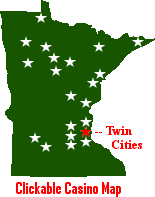 Scatter-activated free games make the three middle reels spin together as a giant symbol and can be played until infinity. Chinese-themed Eastern Emeralds slot uses Wild multipliers and features Destiny Free Spins which offer players to pick among four free game modes with different volatility levels and potentially win a massive x1,680 multiplier. Vikings Go To Hell is yet another superb video slot in a popular action-packed Yggdrasil’s series. 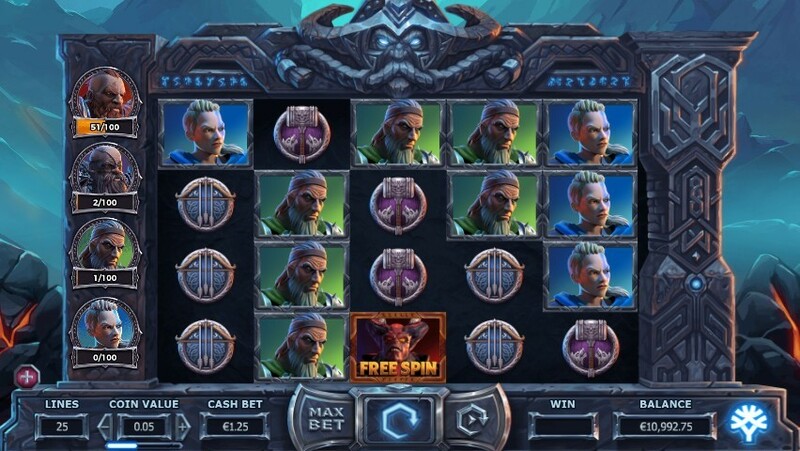 Players are collecting Rage points attached to four Vikings in several different ways, aiming for 100 points to launch Berzerk Free Spins with sticky Wilds. Landing 2 Free Spins symbols summons the demon to fight Vikings and each victory delivers Rage and Wilds. When in Berzerk mode, Vikings always win. 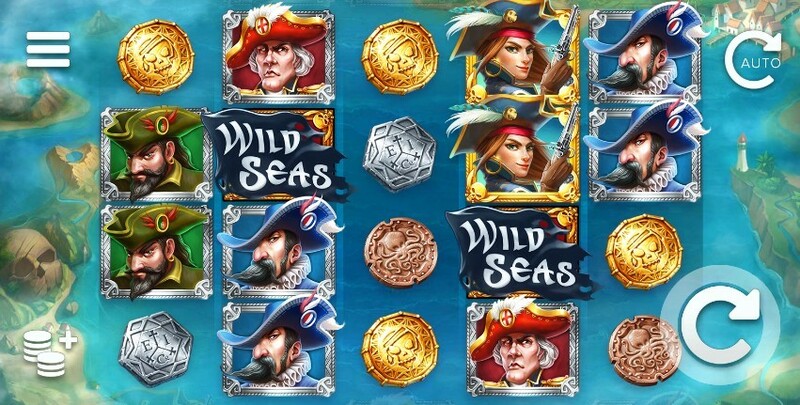 Level 1 Free Spins are triggered either by 3+ Free Spins icons appearing simultaneously or via a treasure chest which awards free games, coin wins, random Wilds or Wild reels. One needs to defeat the Lord of Chains by destroying its health bars, and if successful, they’ll win random Wilds, Auto Wild Vikings and entry to Level 2 Free Spins to fight Lucifer. Sounds interesting? Take advantage of the free-play opportunity to see what makes these particular titles stand apart from the crowd.